With over two decades worth of trailblazing accomplishments, fueled by her limitless creativity and impeccable work ethic, Missy Elliott deserves every accolade sent her way and more. Most recently, the luminary recording artist has been chosen to receive this year's 'Black Women in Music' honor at Essence's annual pre-Grammy celebration. The special recognition, which was started by the publication in 2010 as a way to recognize artists during Grammy week festivities, will be presented to the legendary rapper and producer during a ceremony set to take place at the Highlight Ballroom in New York City on Jan. 25. 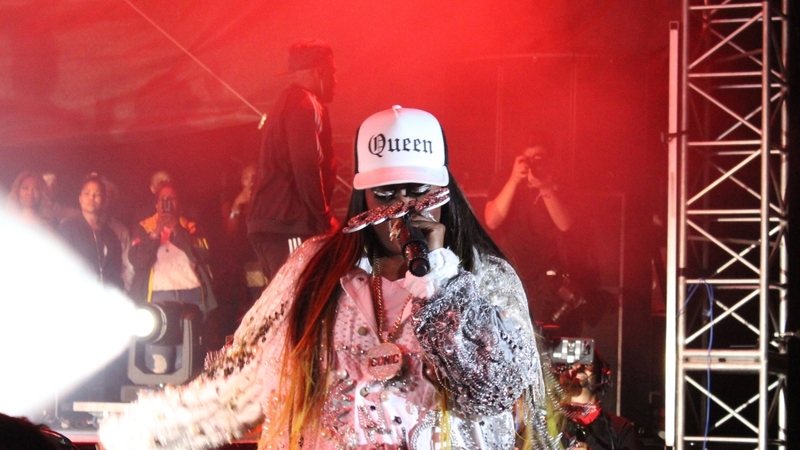 "The artistry of Missy Elliott cuts across generations—underscored by her vast creative accomplishments and contributions to the culture," Essence Editor-in-Chief Vanessa De Luca said in a statement announcing the news. "So prolific is her work, she is an inspiration to women all over the world. Missy's energetic presence is truly magnetic and we can't wait to celebrate her as one of the artistic masterminds of our time." The celebration honoring Elliott will take place three days prior to the 60th Annual Grammys, which will be held this year in New York City at the Madison Square Garden on January 28, 2018. Many congrats to you, Missy! For a full list of this year's Grammy nominees, see here.